ABC has some new shows in store for the new year. 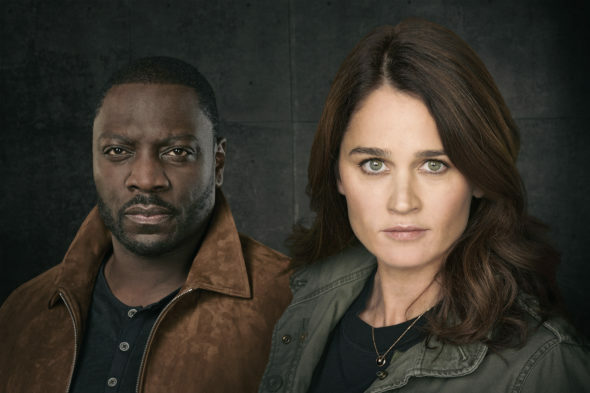 Today, the network announced the premiere dates for their upcoming series The Fix, Grand Hotel, and Whiskey Cavalier. A legal drama, The Fix (March 18th at 10 p.m. ET/PT) “follows Maya Travis, an L.A. district attorney who suffers a devastating defeat after prosecuting an A-list movie star for double murder.” The cast includes Robin Tunney, Adewale Akinnouye-Agbaje, and Scott Cohen. Eva Longoria executive produces this bold, provocative drama set at the last family-owned hotel in multicultural Miami Beach. Charismatic Santiago Mendoza (Demian Bichir) owns the hotel, while his glamorous second wife, Gigi (Roselyn Sanchez), and their adult children enjoy the spoils of success. The hotel’s loyal staff round out a contemporary, fresh take on an upstairs/downstairs story. Wealthy and beautiful guests bask in luxury, but scandals, escalating debt and explosive secrets hide beneath the picture-perfect exterior. Produced by ABC Studios, the show is based on the Spanish series. Brian Tanen is the writer and executive producer. Longoria and Ben Spector (UnbeliEVAble) are executive producers, in addition to Bob Daily. Bill D’Elia is a director and an executive producer. Set in 1990-something, “Schooled” is a spin-off of “The Goldbergs” and follows the hilarious faculty of William Penn Academy, led by new music teacher and WP graduate Lainey Lewis (AJ Michalka), Principal Glascott (Tim Meadows), Coach Mellor (Bryan Callen) and young, enthusiastic super-teacher Charlie Brown or CB for short (Brett Dier). Despite their eccentricities and crazy personal lives, these teachers are heroes to their students. Created by Adam F. Goldberg & Marc Firek, the series is from Sony Pictures Television and ABC Studios. Adam F. Goldberg, Doug Robinson and Marc Firek are executive producers. Following an emotional breakup, Will Chase (codename: “Whiskey Cavalier”), played by Scott Foley, is assigned to work with badass CIA operative Francesca “Frankie” Trowbridge (codename: “Fiery Tribune”), played by Lauren Cohan. Together, they lead an inter-agency team of flawed, funny and heroic spies who periodically save the world – and each other – while navigating the rocky roads of friendship, romance and office politics. The series is from writer/executive producer Dave Hemingson and executive producers Bill Lawrence and Jeff Ingold. Peter Atencio is director and executive producer (pilot), and Scott Foley is producer of the series from Warner Bros. Television. What do you think? Do you watch ABC? Which new shows will you check out in 2019? More about: ABC TV shows: canceled or renewed?, Grand Hotel, Grand Hotel: canceled or renewed?, The Fix, The Fix: canceled or renewed?, Whiskey Cavalier, Whiskey Cavalier: canceled or renewed?